Supply and demand! 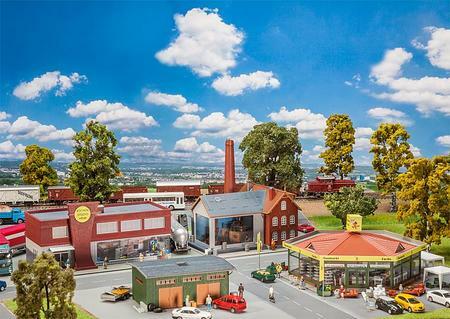 Four-piece set of buildings with a wide variety of decoration elements allowing to lay out a small industrial estate with retail trade, manufacturing businesses and storehouse. Glazed facades allow to get a glimpse of the transparent production in the craft beer brewery and of some sales areas in the DIY store and fully equipped kitchen Showroom. This building kit contains: 794 single parts in 13 colours, window parts, 3 paper masks, 2 decorations and 4 construction instructions.